For centuries we have been using Leather to enhance our lifestyles, be it shoes and clothing or the luxury covering for the furniture in our homes, workplaces or motor cars. However it is our desire to keep our treasured leather looking at its best that fuels the need for the vast array of products available aimed at satisfying that need. At Leather Master we love leather and we are dedicated to ensuring that we make the very best products available to everyone wanting to preserve the appearance of their leather furniture. Our philosophy is very simple and that is to educate, train and supply goods and services that provide the correct information and processes to all who share our passion for our favourite natural material. Keeping up with the ever changing types of leather finishes and the attempts to create imitations is a challenge that Leather Master meets every day as we develop new products and provide advice, not only to manufacturers, retailers and repairers, but to end users and consumers as well. Hopefully you will find this site useful and informative and make the task of keeping your leather furniture looking at it’s best as easy as possible. 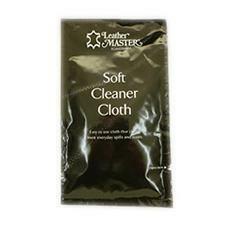 Leather Master UK produces and distributes all products from its base just outside Chester in Cheshire. Products are regularly supplied both nationally and internationally.